Picturing Disney: LeSportSac Moana Collection! is spunky and full of spirit! 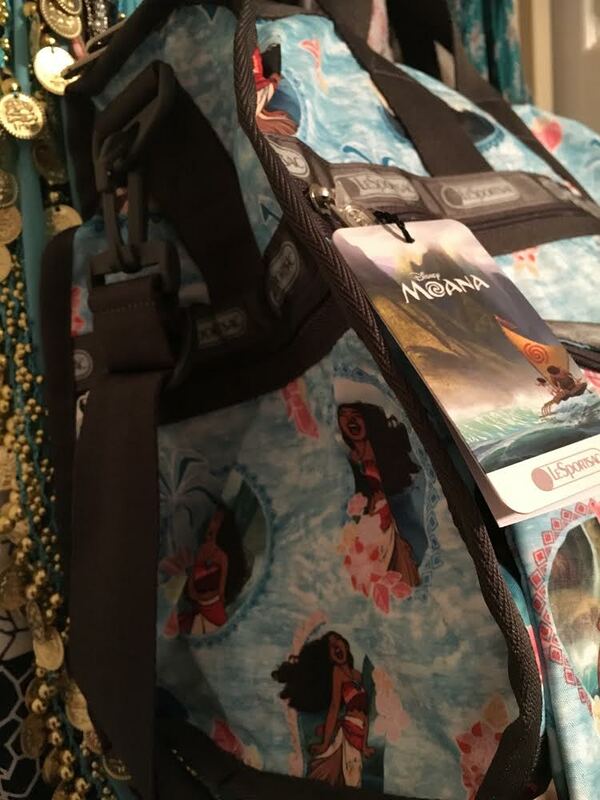 I was able to preview a few bags in the new LeSportSac Moana Collection. My first thoughts are simply wow! 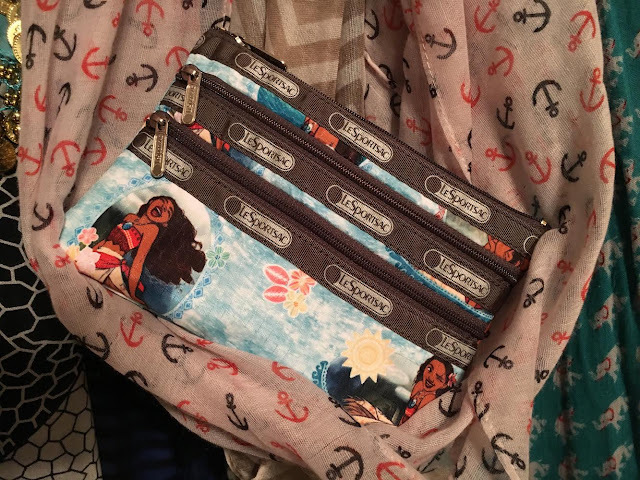 The collection is spunky and full of spirit just like Moana herself. This is the first 3 zip cosmetic bag I've reviewed from LSS and I love it! I use it in my briefcase. It holds all of my school supplies in a very neat and organized fashion. I keep my erasable gel pens in the front pouch and other school supplies in the middle. I use the big pouch for my hair ties, chapstick, lotion, and other essentials. 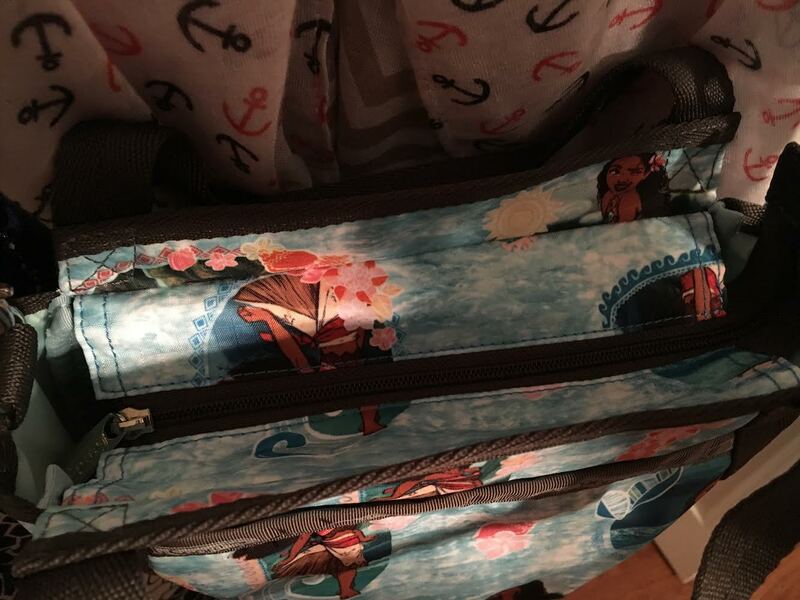 LeSportSac's cross-body bags are my favorite. This pattern (wave reader) looks great with multiple colors. 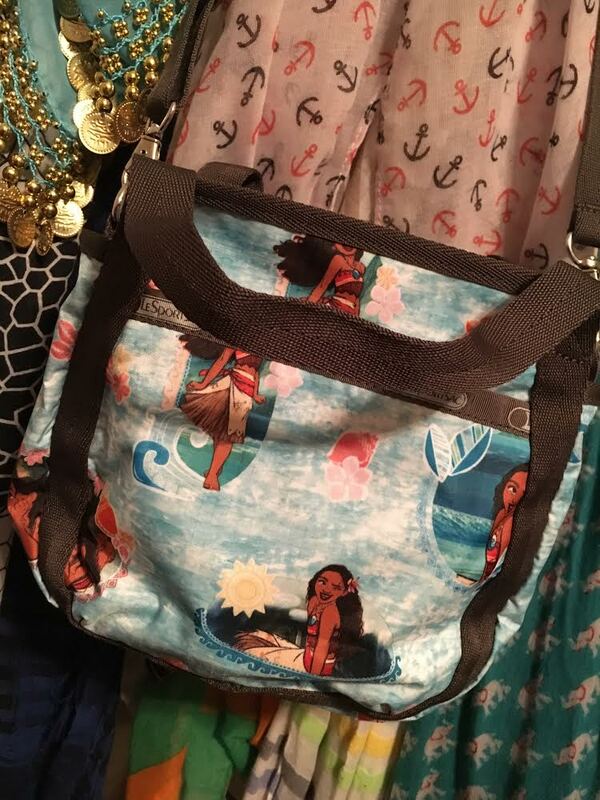 LeSportsSac has truly captured the true essence of Moana in this collection. Want to see for yourself? Don't forget to enter our Medium weekender giveaway (full review can be found here)!